At long last, flights and tights. Smallville never got a lot of play in our house when it ran on TV. 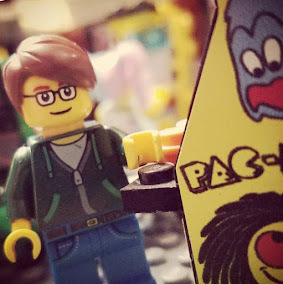 It wasn't Erin's particular brand of teen angst (she prefers her high school melodrama to be either based in the real world and/or with a touch supernatural, not sci-fi), and as I used to tell people when they asked why I wasn't a regular viewer, "I need more Superman in my Superman." I'd watch the occasional episode if there was a particularly good guest star (Christopher Reeve) or some of the bigger "event" stories (ones with the proto-JLA, the Legion, the Justice Society), and the finale, and even though I liked some of those, I still thought the show needed more Superman. How long can you talk about your destiny before you go try to fulfill it, you know? Despite all this, the first collection of DC's digital-first Smallville: Season 11 comic called to me from the LCS shelf. For one thing, it's written by Bryan Q. Miller, whose work I enjoyed on the Steph Brown Batgirl book a few years back. Second, it very clearly attempts to solve the Superman drought that the series suffered from (IMHO) on TV. Third, and perhaps most importantly, the in-continuity Superman books are just not doing it for me right now. What I've read of that Kal-El makes him come off like a sullen, moody, headstrong jerk (even under Grant Morrison's pen), and for my money, that's not Superman (no wonder Lois isn't into him this go-round). And as I said above, I need more Superman in my Superman. 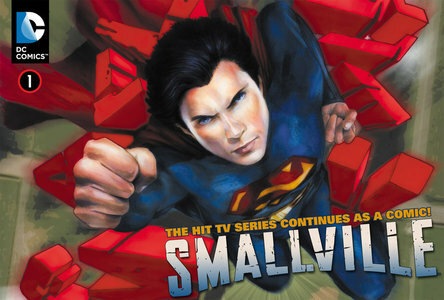 Ironic, then, that Smallville: Season 11 is giving this to me where the "regular" Superman is not. I hesitate to call this a more "traditional" Superman, because although a lot of the standard elements are there (the origin, Clark & Lois as a couple, the Daily Planet, villainous Lex, etc. ), it is still steeped in the many changes that the show made to the story over the years (new characters like Chloe Sullivan, major changes to existing characters like Green Arrow or J'onn J'onzz, etc. ), so there's still a vastly different status quo to get used to, especially if you weren't a regular viewer. Miller does a good job setting the scene, though, explaining enough for the newbs like me to get by without seeming like it'd all be extraneous recap for the regulars. Conversely, he is introducing story elements that will seem welcomingly familiar to long-time comics fans who may not have seen the show, but will be new twists to people who watched the show but might not know comics very well (e.g., Ollie & Chloe moving to Star City and trying to put together an international league of heroes who will have a base on the moon). is much easier to take than the busy, squiggly, ugly armored thing Jim Lee gave him over in the New 52 books. Artist Pere Perez's design does good work here, crafting a design that harkens back to the original but is up-to-date without seeming of a particular time (and reminds me a little of the post-Zero Hour LSH uniforms with the darker color going up the side), and will also be able to be replicated by any other artist who has to draw it down the line. Also, it's not armor. Or ugly. That alone is a huge improvement. The story itself is good. We see the formal beginnings of the Superman/Lex rivalry (as opposed to the Clark/Lex "the air is thick with subtext" rivalry from the TV series) as Clark fights a new version of a familiar-to-comics-fans foe (who is given a lot more depth here than I ever felt we saw in the original version) and the seeds are planted for future storylines. I don't think it breaks much new ground, but I don't know that it has to. I'm looking for good Superman comics, dammit, ones that will give me exactly what I want while presenting it in a slightly different manner and adding some new ingredients to the recipe overall. I realize that this is also what the New 52 is trying to do, but like a lot of the DC relaunch efforts, I think a lot of that is change for change's sake, and the end result feels different enough that I prefer to think of it as a different dish altogether. 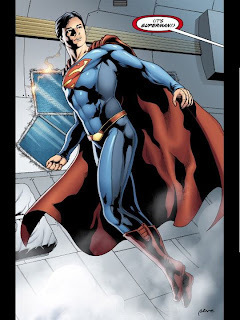 It took over eleven years, but thanks to Bryan Q. Miller, Pere Perez, and others, Smallville is finally giving me more Superman, and I think the surprise of that is the best part of the whole thing. You have to appreciate the sort of "value-added service" that level of enjoyment provides. Pretty Sketchy: Mini Marvel Jr.!